The walls are going up on this bespoke property in the Lakes. We are pleased to have been appointed as Project Managers and Quantity Surveyors on this new project in the South Lakes. The project invoices demolition and replacement of a derelict public house. Ground works completed on time and under budget on this challenging site. Groundworks left neat and tidy for the next contractor. Tanya, our accounts manager, has been lucky enough to have secured a place to run in this years London Marathon. Tanya only started running 2 years ago with the ‘Couch to 5k’ programme. With thanks to a very supportive running group, Woman on the Run, she now runs regular 5km and 10km races, has competed in 3 half marathons and last year completed the Chester metric marathon (26.2km). This however will be her first ever marathon. Tanya was approached by Stickler Syndrome UK with a charity place for this year’s event which was an opportunity to for fill a lifelong ambition to compete in the London Marathon. Stickler Syndrome is a genetic progressive condition that effects the body’s collagen (connective tissue). It is a common but little recognised condition, effecting 1 in 7500 new born babies. The symptoms are variable effecting the eyes, facial features, joints and bones and hearing, and there is currently no cure. The charity aims to raise awareness of this syndrome amongst medical professionals and the general public. It is a small charity who are very reliant on the income from this event. Tanya is honoured to be chosen to support them, and Bushell Raven Ltd would like to support Tanya and Stickler Syndrome UK in any way we can. Tanya has pledged to raise £1,300 for this wonderful charity. If you can donate a raffle prize or give a donation to help that would be amazing. Thank you for taking the time to read this email and thank you for any help that you can offer. External works, which we have been project managing in the Lake District National Park, nearing completion with a resin bond applied to the pathways. Bushell Raven are acting as the Contractor’s Quantity Surveyor on a 66 new build social housing development in Carlisle. Phase one of three phases will be handed over shortly to Home Group. Groundworks on track for this exciting project. 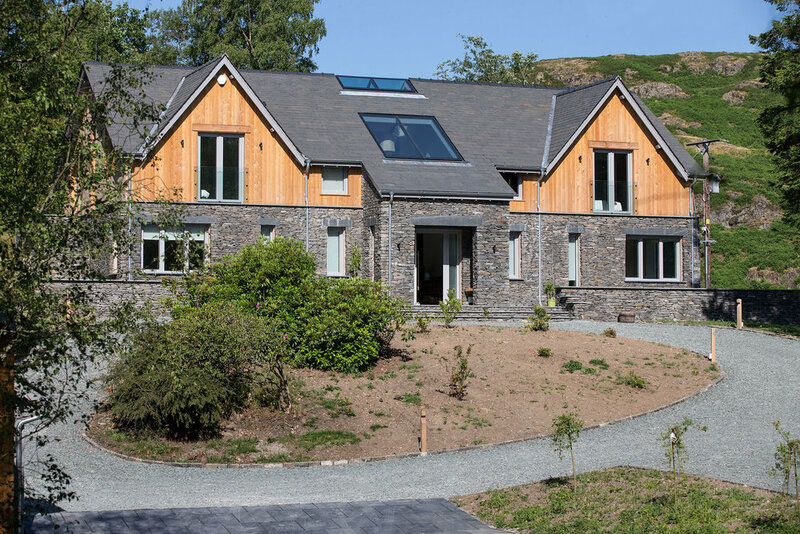 We are pleased to have been involved as Project Managers on this challenging bespoke beautiful home tucked away in the heart of the Lake District. Groundwork has commenced on a contemporary new build in the Northern Lakes with Bushell Raven appointed as Construction Managers and Contract Administrator for this exciting project. Role: Bushell Raven acted as Quantity Surveyor on this remodelling and extending of client’s existing home. Positive Contribution: By using Bushell Raven’s services, the final cost of the project was in line with the detailed cost estimate prepared early in the project. "I would definitely recommend using Bushell Raven as both QS or Project Managers. We worked with Jon & Ed for 2 years as we designed, planned and completed extensive refurbishments on our pub – The Hare and Hounds, Levens. 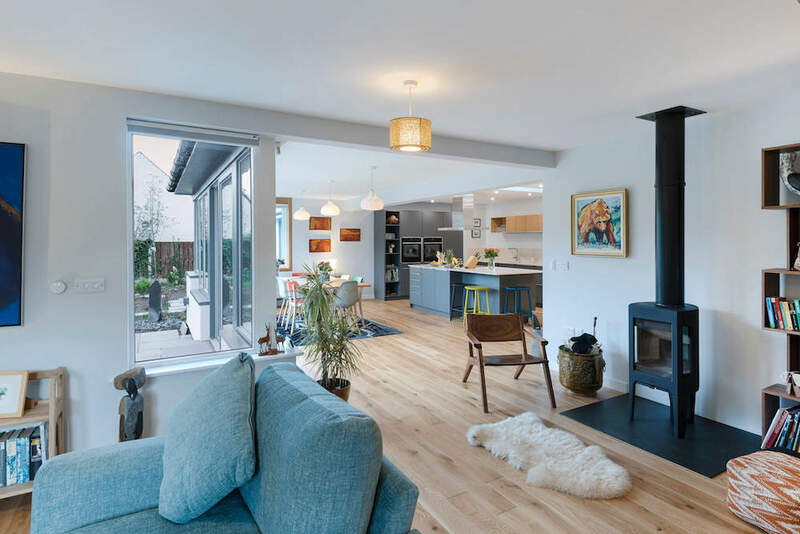 They were involved in the planning and execution of this complicated and phased build, which was completed on time and under budget due to their thoroughness and dedication. Jon was readily available to deal with all my concerns (some more legitimate than others!) and would always put my mind at rest and propose and enact solutions quickly and efficiently when needed. Nothing was too much trouble. We would not hesitate in using Bushel Raven again." Why is it essential to have a building contract in place between client and builder? The overall cost of the building project will be agreed between client and builder (with the aid of a quantity surveyor) and written into the building contract. This will be accompanied by a full breakdown of the costs and a set of drawings and specification. This ensures all parties understand the cost and scope of works. A standard building contract will set out standard payment terms between client and builder. This ensures all parties understand how each payment will be calculated and when it is due for payment. A quantity surveyor can give specialist advice on building contracts. A standard building contract specifies the quality of work and specification to ensure all parties understand what is required. If the quality of the work is not in line with the building contract and some work is identified as defective, the contract will dictate the procedure to be followed to rectify the defective works. A contract will specify who is responsible for the design liability of the project (e.g. architect, structural engineer or builder). If there is defective work due to poor design, then it is clear under the contract who is responsible for that design. The building contract will set out the agreed timescales of the project which will include a start and completion date. This ensures the client and builder understand what to expect. If the builder fails to complete the work by the contract completion date, the building contract will dictate the process to be followed. A quantity surveyor can give specialist advice on building contracts and the timescales for the project. A building contract provides protection for both the client and builder. All parties understand what is required at the outset. 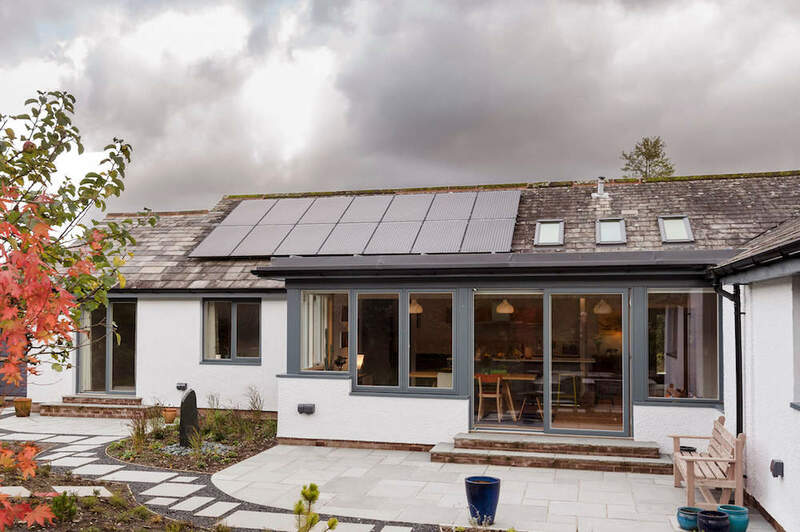 There are several industry standard building contracts for use on all sizes of projects ranging from large scale commercial projects to small domestic projects such as a single storey extension. The contract will cover many items such as the overall cost of the project, payment terms, timescales, quality of workmanship, design liability, defective work. A quantity surveyor will be able to give advice on the appropriate contract for your project. Why spend money on employing a quantity surveyor? Dealing with changes on site. Ascertain if any costs quoted by the builder for additional work are fair and reasonable to ensure the client is receiving value for money. If a builder quotes £5K for some additional work, it may be that the fair cost is only £2K and the quantity surveyor will negotiate this cost with the builder. Advise on material changes that may be better value for money without affecting the overall quality of the building (e.g. different types of insulation with the same thermal value). On both projects Bushell Raven worked with the builder to identify cost savings but not to the determent of the quality and specification. 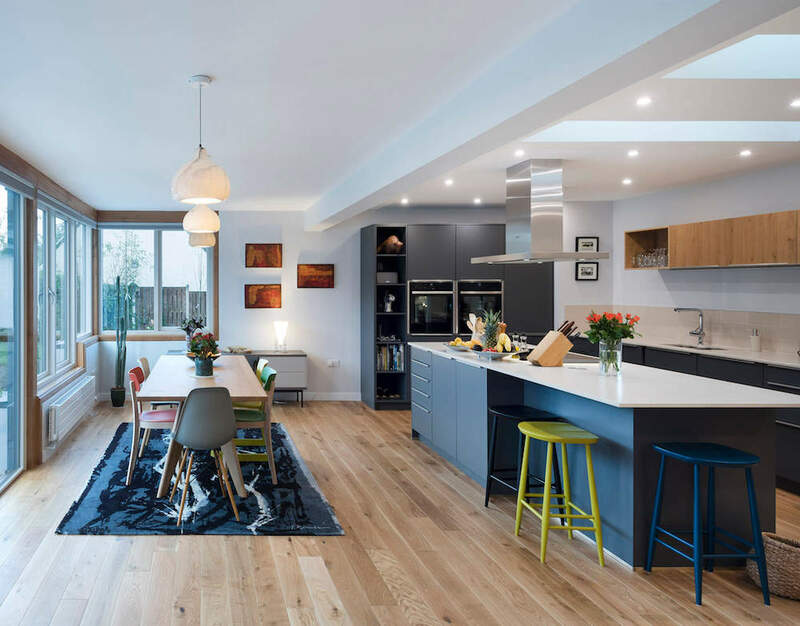 A quantity surveyor will provide early cost advice to the architect as to the likely floor area that can be constructed for the client’s budget. The architect can then prepare drawings. A quantity surveyor will provide a detailed cost estimate of the proposed works to ensure the architect’s drawings are affordable based on client’s budget prior to submitting a planning application. The client will be informed at the outset of the likely costs of the project. 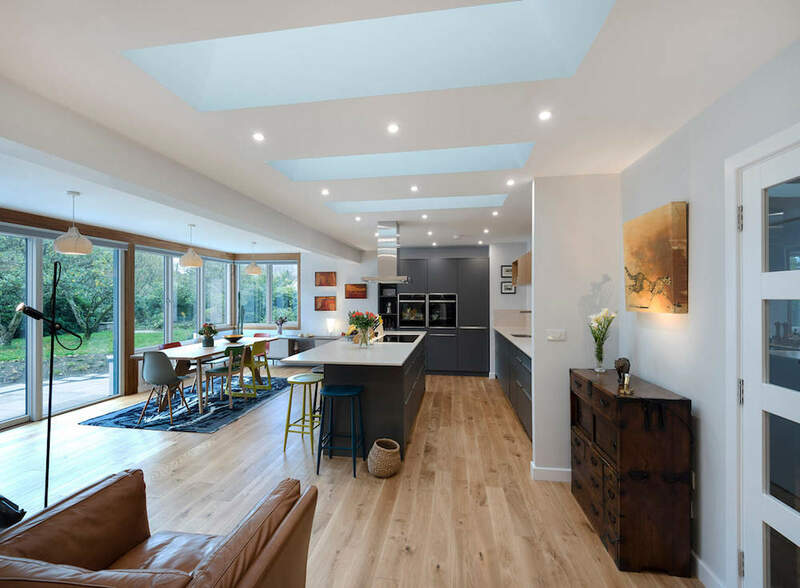 Architect, client and quantity surveyor work together to enable a design to be produced based on client’s budget while maintaining the level of quality the client’s requires. These are incorrect. A good QS adds value to the project by ensuring the client only pays a fair and reasonable cost for the quality specified. Over the life of the project, the QS will often save you far in excess of their fee by keeping tight control of the costs from start to finish. Why is it essential to employ someone to act on your behalf when dealing with a builder on any building project? There are often errors, discrepancies and exclusions in a builder’s quote. These will be identified by the quantity surveyor and presented to the client to ensure the client understands exactly what has been priced. You should not choose a builder based on the lowest price without a quantity surveyor checking the quote. One quote may be lower due to exclusions or inferior materials and therefore not provide best value. A quantity surveyor will produce a comprehensive tender report for the client identifying areas of risk and making appropriate recommendations. The client is then in possession of all facts and can make an informed decision of which builder to appoint.